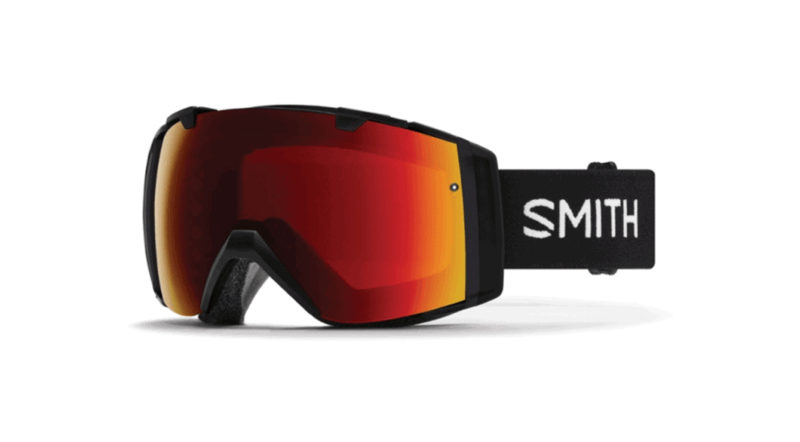 If you want the best of the best in your ski goggles, look no further than the Smith Optics I/O Mag ChromaPop Goggles. From an interchangeable lens system to an extremely comfortable fit that offers amazing ventilation, these goggles are premium quality through and through. They have everything you’ll need when it comes to the best skiing goggles. With the combination of holiday stress, bitter cold, and never-ending snow, many people absolutely dread the winter months. But if you’re here reading this, you’re probably not one of them. Between snowmobiling, sledding, tubing, skiing, snowboarding, and all the other fun activities to do in the winter, what you dread more than the snow is when the warmer months come along and it all melts! You may not be able to protect your dignity if you’re tumbling down the mountain. But at least you can protect your eyes. From 2 interchangeable lenses to an extremely ventilated and comfortable fit, the Smith Optics I/O Mag ChromaPop ski goggles are arguably the best ski goggles money can buy. They’re adaptable enough to handle any conditions, and they come in 3 different frame sizes, so you’re bound to find a fit that works perfectly for you. The Anon M3 MFI Ski Goggles have achieved master status when it comes to an interchangeable-lens system. Enjoy the fastest lens change on the market — it’s as easy as a slight twist of the frame. These goggles are definitely the priciest pick on the list, but they’re worth every penny. If you want a massive field of view, look no further than the Oakley Flight Deck Prizm Snow Goggles. These rimless goggles have one of the biggest fields of view on the market. This means (hopefully) no more hidden obstacles causing you to wipe out in front of everyone on the mountain! 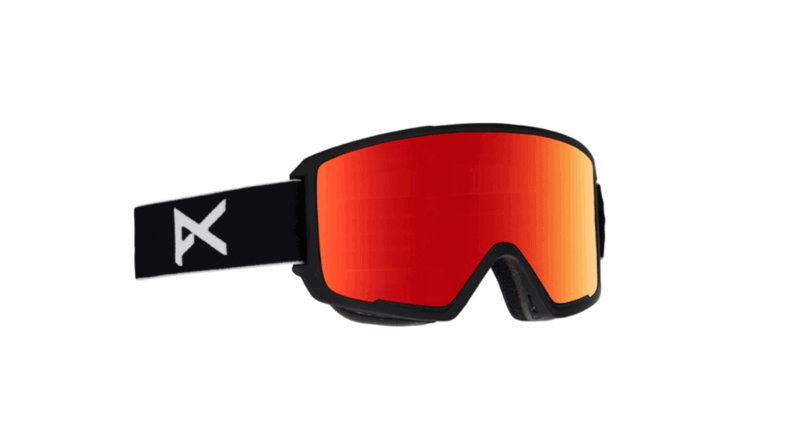 For the best anti-fogging goggles money can buy, go for the Dragon Alliance NFX2 Ski Goggles. These goggles place emphasis on easy airflow and superior ventilation, while an anti-fog coating slicks away water and keeps moisture at bay. Their huge, frameless lenses are sleek and modern, making them functional and stylish. 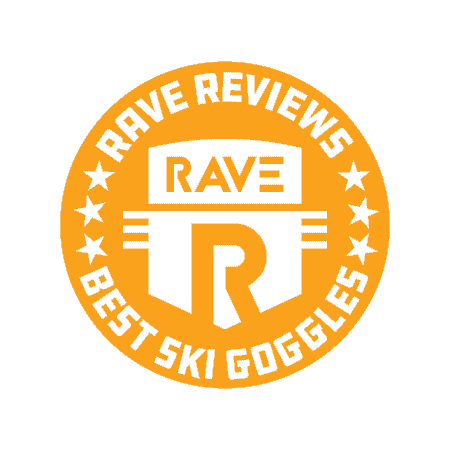 You don’t need to break the bank for a great pair of ski goggles, and the Retrospec Traverse G1 Ski Goggles are a perfect example. The frame is super comfortable, form-fitting, and ventilating. Plus, the anti-scratch lens features an anti-fog coating and 100% UV protection. Who said a great pair of ski goggles had to cost hundreds of dollars?! Have you ever wondered how much the right pair of goggles can affect your skiing? You may have your favorite pair of goggles that you’ve been using for years, but if they’re not doing their job correctly, they may be holding you back from reaching your full skiing potential. Whether you’re an amateur skier or we’ll catch you in the next winter Olympics, there’s a pair of ski goggles out there just waiting to be matched with you. Having the perfect pair of goggles can dramatically improve your skiing experience, but it’s not always easy to find the pair that best suits your needs. No matter your experience level, the last thing you want is to risk an embarrassing wipe-out because your goggles fogged up, fell off your face, obstructed your vision, or all of the above. 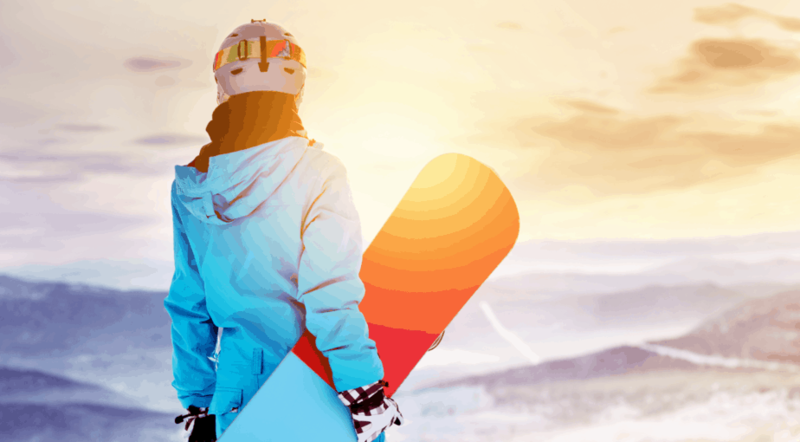 Lucky for you, we care about you, and we want to make sure you enjoy the slopes this season sans wipe-out. While it’s no secret that sports accessories are getting more and more fine-tuned these days, this season’s ski goggles are actually blowing us away. We can finally say our farewells to all those ski goggles that never did their job right (because it’s definitely the goggles’ fault that we weren’t the best skier out there, not ours). But there’s much more to finding the perfect pair of ski goggles than just choosing which pair is the most attractive. That’s right — it’s time we put an end to picking our ski goggles based strictly on how cool they look. When it comes to purchasing a new pair of ski goggles, the important thing to remember is that there are all kinds of different styles to choose from, all with different qualities. And the truth is, that’s not even all the different ways to categorize these products! There are tons of different models and specifications when it comes to ski goggles — so much so that it can all be a bit overwhelming. But the last thing we want to do is scare you off from your goggles search. Instead, what we’re here to do is match you with the pair of goggles that best suit your needs (and maybe even add some style to your ski getup). 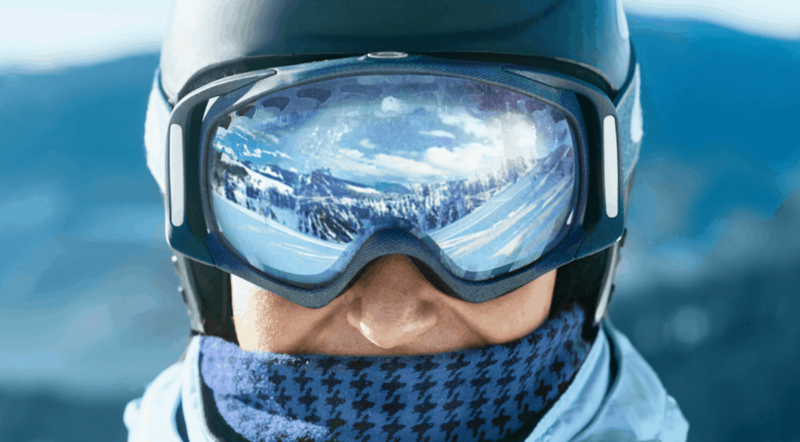 Whether you’re on the lookout for the most affordable ski goggles, the trendiest goggles, or the best anti-fogging goggles, we have a pair for you. 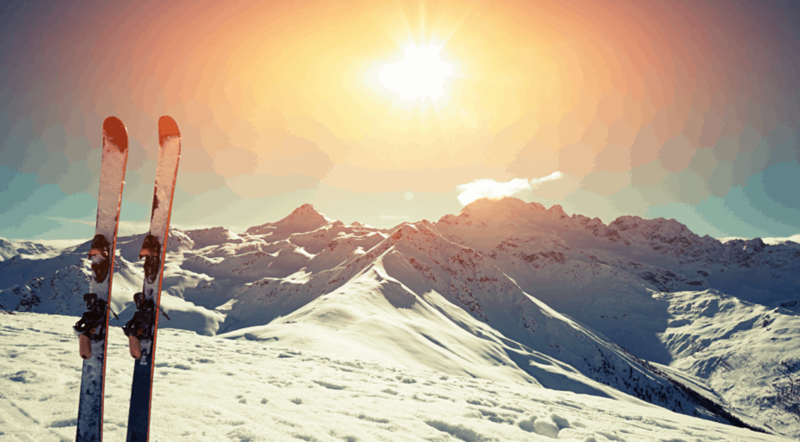 Don’t hit the slopes this year with a pair of ski goggles that are doing more harm than good. Take a look at the goggles we’re presenting to you here and take your pick! 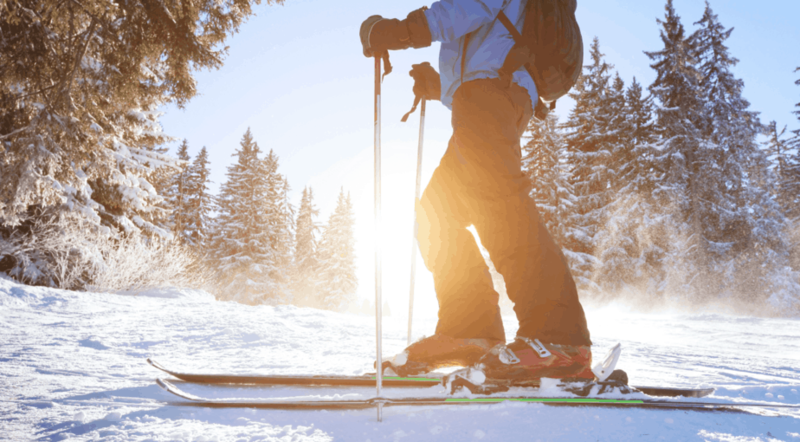 When it comes to skiing and snowboarding, having the right gear and equipment can make a huge difference. We know how important it is to get the most out of your time on the mountain. And, since you take it seriously, we take it seriously too. We’ve used these criteria to make sure that the ski goggles on this list are only the best ski goggles money can buy. You can be confident that no matter which pair you choose, these are the real deal. With 3 different frame sizes to choose from to ensure perfect fit, the Smith Optics I/O Mag ChromaPop Goggles are, in our opinion, the best ski goggles money can buy. These goggles feature the original interchangeable-lens system. They come with 2 lenses, both featuring an extremely comfortable fit, great ventilation, and superb quality. The ChromaPop lens with Fog-X technology and TLT optics enhances your vision, offering HD-like color quality that gives you amazing clarity on the slopes. Its Patented Porex filter prevents optical distortion during changes in elevation while highlighting small details even in low light. These ultra-adaptable lenses are simply some of the best on the market. These goggles are made from spherical, molded Carbonic-X material, which is as sturdy and durable as it gets. They include a microfiber goggles bag with a replacement lens sleeve. And, if anything were to happen to the product, it’s covered by a Smith lifetime warranty. In short, you can’t go wrong with these. The Anon M3 MFI Ski Goggles feature the fastest lens change on the market. To change the lens, simply give a slight twist to the frame to expose the lens, pull it away from your face, and voilà — lens changed. A thin, comfortable frame protects the lens and holds it in place. The special cylindrical Sonar lenses filter and block out horizontal light waves that reflect off the bright snow, preventing you from being blinded or limited in vision. Plus, full perimeter channel venting ensures maximum airflow, bringing fresh air into the goggles while sucking away moisture from the lens. This leaves you with clear, fog-free vision in all conditions the whole way down the slopes. The Anon M3 MFI Goggles are a perfect example of the continuing innovation in ski gear. They are packed to the brim with the latest technology. They’re the most expensive ski goggles on our list, but we promise you won’t regret dishing out the extra cash on a pair of goggles that is this good. They’re absolutely worth it! For one of the largest fields of view on the market, the Oakley Flight Deck Snow Goggle is the way to go. The rimless lens design is optimized for unparalleled peripheral vision in every direction, allowing you to see more of the mountain any way you look. These goggles are the real deal. The advantages don’t stop at the field of view, though. The goggles also have a dual vented coating, allowing the inner ballistic lens to absorb a minimum of 2 ml of moisture — all of which leaves you with razor-sharp clarity as well as maximized contrast between colors, making everything easier to make out. On top of the amazing lens features, this pair of ski goggles are made with all-day comfort in mind, developed with 3D CAD/CAM engineering to ensure anatomical fit. They provide a continuous seal to lock out elements and wick moisture away from the face. 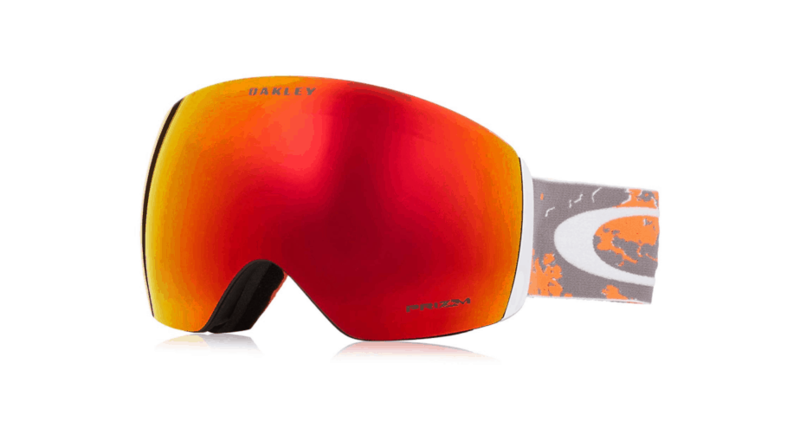 For goggles that will last a lifetime and give you everything you need and more, this pair from Oakley has you covered. 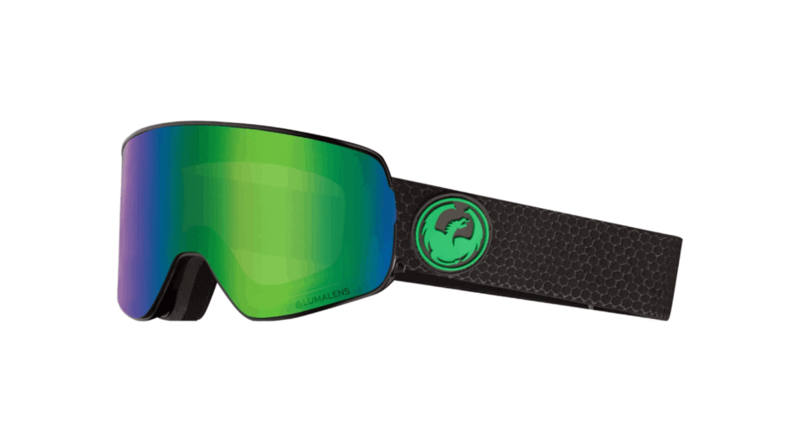 If you want ski goggles that have all the bells and whistles, the Dragon Alliance NFX2 Goggles are the ones for you. 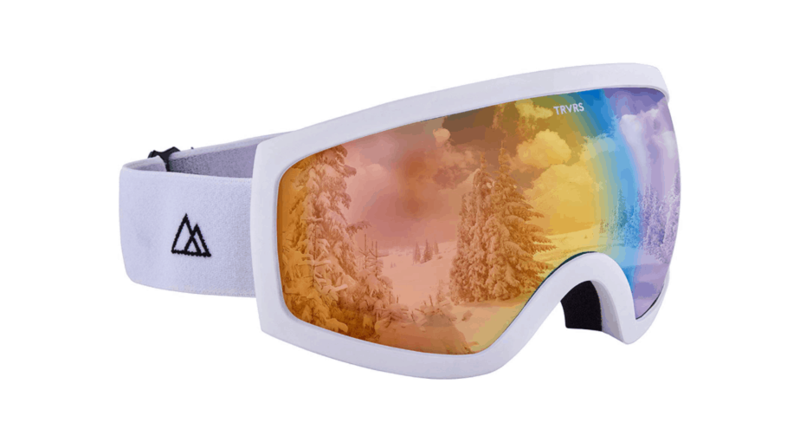 The premium injection-molded lenses feature Super Anti-Fog coating, making these one of the best pairs of anti-fogging ski goggles on the market. 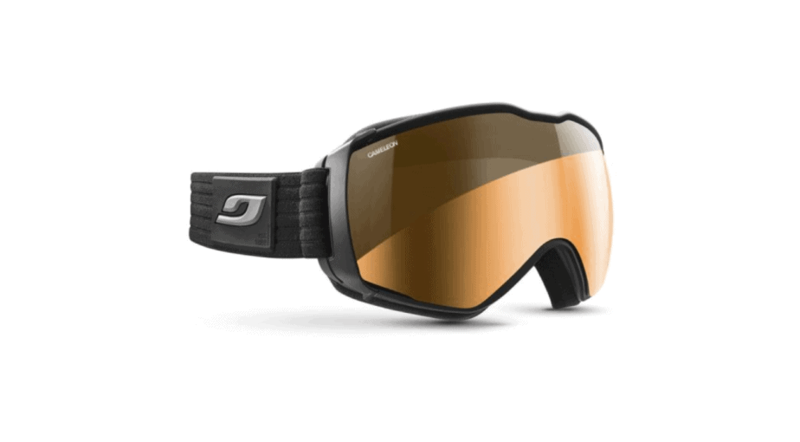 This is the most advanced pair of goggles from Dragon Alliance. It’s super easy to swap between lenses without even having to take off the goggles. They even come with a second bonus lens for use on days on the mountain with low visibility. These goggles utilize the Lumalens color-optimized lenses, bringing impressive clarity, adaptability, and style. Dragon Alliance is definitely one of the smaller brands in the industry, and they haven’t been getting the attention they deserve. Don’t be deterred just because they’re not a huge name in ski gear — it’s definitely worth giving these goggles a try. On top of the premium anti-fog coating and other innovative features, the look of a huge lens with no frame is totally in style right now. Don’t let the price fool you. Just because these ski goggles are super affordable doesn’t mean any of their quality is compromised! The Retrospec Traverse G1 Ski Goggles were built with essential optic technologies that make them the perfect companion for a day on the slopes. They can help you perform at the highest level, at a fraction of the price of other goggles. The cool thing about these goggles is that they are available in an array of different tints, which prepare you for whatever weather conditions the mountains may be throwing at you. The lenses are some of the most durable on the market. They’re curved both horizontally and vertically to provide pristine peripheral vision. These goggles seamlessly integrate with any helmet. The frame utilizes Ternary Face Foam to comfortably conform to your face and around the nasal arch, preventing any breathing interference as you carve your way through the snow. For a pair of goggles that are extremely affordable but will still get the job done, Retrospec is a perfect choice. The OutdoorMaster PRO has an interchangeable lens system, allowing you to enjoy a wide array of extra lenses. Whether you’re going from day to night or accounting for changing weather conditions, you’ll be able to choose from 20+ different lenses to find the option that works best. The frame has an over-the-glasses design that lets you comfortably wear your glasses under your goggles. Plus, all the lenses are anti-fog coated and offer 100% UV400 protection. These goggles are on the lower end of the price range for this list, but don’t let that fool you — they’re just as good as the other pairs on here. These are one of the more expensive goggles on our list. 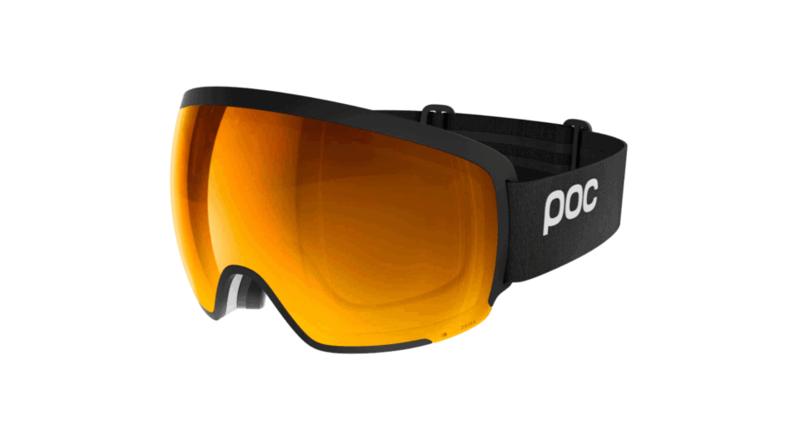 But the POCOrb Clarity Goggles are some of the best ski goggles money can buy, so if you have the cash, we definitely recommend going all in for these. Produced in collaboration with industry leader Carl Zeiss, these lenses have been developed with specific and highly advanced tints designed to enhance vision by increasing contrast and light. Unique mirror coatings complement each clarity lens base tint and are designed for 3 distinct weather conditions: sunny, partly cloudy, and overcast. Combined with an optimized field of view, you’re left with unparalleled vision. The frame of these goggles is flexible but extremely durable. It’s carved away in the corners and wraps around the sides as far as possible to offer the ultimate peripheral view. With this much thought put into each aspect, these goggles will ensure that you can see every detail. 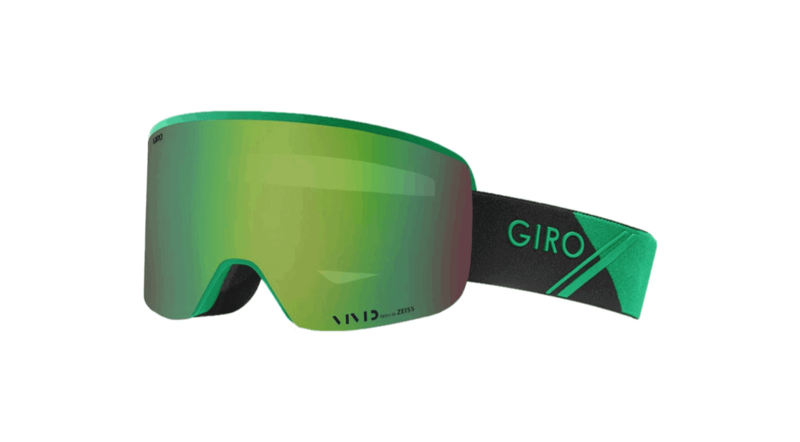 The Giro Axis Snow Goggles are doing some pretty amazing things. Along with an elegant new quick-change lens system and a clean, bold style, you get 2 lenses and, best of all, overall amazing visibility. Self-locating magnets assist in lightning-fast lens replacement, and 4 pins keep them securely locked in place. No matter your face shape, you’re guaranteed a comfortable fit, as the frame accommodates a range of sizes and shapes while boasting an impressively wide field of view. One of the lenses is ideal for sunny conditions, while the other one is a great infrared lens that’s perfect for stormy weather and low light. Anti-fog technology also keeps moisture in check. The Zeiss lenses also manipulate blue light and block harmful UV rays to filter out haze and provide super natural-looking color. These goggles are definitely one of the more pricey pairs, but if you ask us, they are totally worth it. 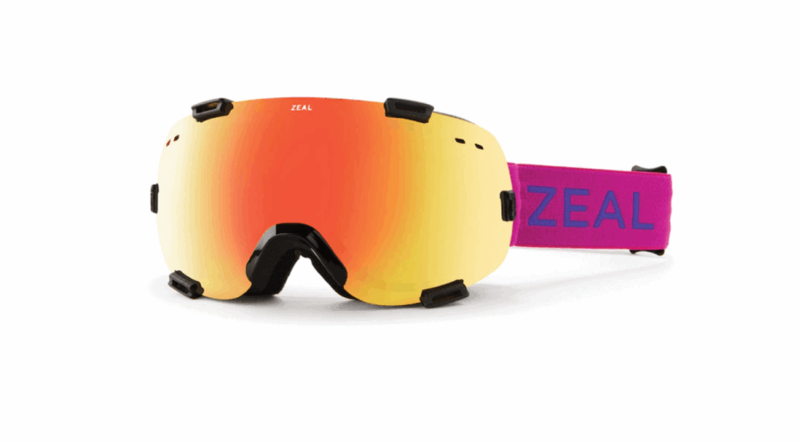 The Zeal Optics Voyager Goggles will make you stay hungry for more and more action as you hit the slopes this season. From a rimless design to anti-fog features to high-density lens technology, these guys offer everything you need in a pair of goggles. 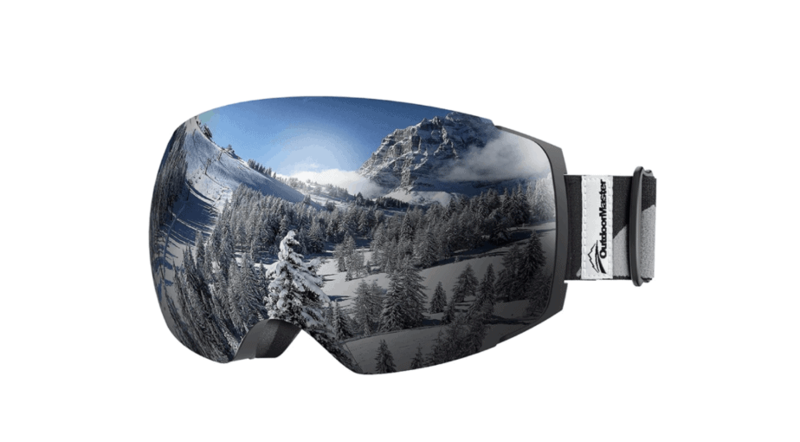 The rimless design of these goggles offers superior visual quality, allowing for maximum versatility while on the mountain. While there are several options for lenses, our favorite features an Optimum Clear + Bluebird mirror, which provides the highest level of light transmission, allowing for safe riding in even the worst visibility. The blue flash mirror cuts down on the glare from the snow and keeps your eyes protected on sunny days. Anti-fog technology virtually eliminates fogging, and an impact-resistant frame can take on even the bumpiest rides. The frame is made from triple-density foam for a custom fit. Although we had to knock off a few points for only including one lens, overall, this is still an excellent choice. 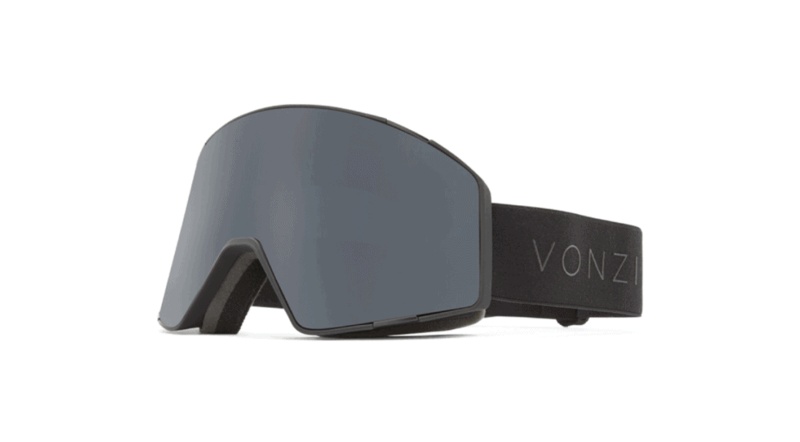 Featuring an anti-fog, cylindrical lens, the Von Zipper Capsule Snow Goggles also come equipped with a quick-change lens system that easily enhances performance capabilities for any conditions. A semi-rimless frame design allows for better overall visibility and a wide peripheral field of vision. Triple-density face foam makes these goggles extremely comfortable, while the premium material wicks away moisture and prevents fog from building up on the lenses. These goggles are helmet compatible, ensuring they stay secure on even the toughest runs. 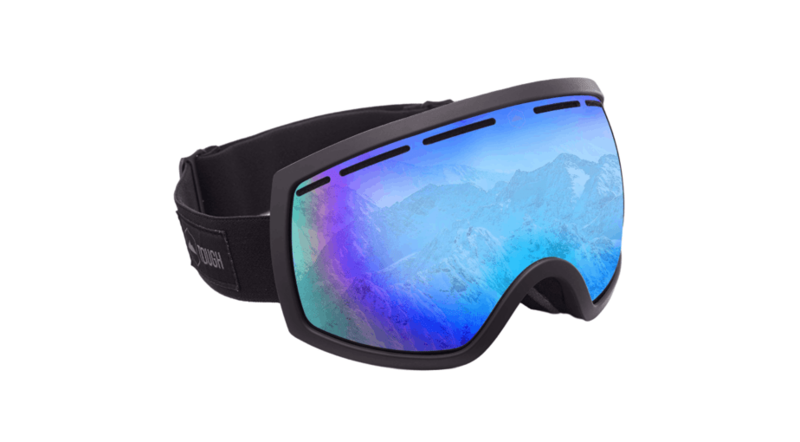 Complete with a hard goggle case, dual sleeve microfiber bag, and a bonus replacement lens, these goggles are everything you need for a day on the slopes. They also offer 100% UV protection. While some folks have reported minor issues with the fit, for most skiers, they’re worth every penny. Another super affordable pair of goggles on our list is the Unigear OTG Ski Goggles. These goggles have everything from a quick-changing lens system, to anti-fog technology, to a frameless over-the-glasses design. It’s hard to believe the price of these goggles once you see all the amazing features they offer. We didn’t believe it at first, either! 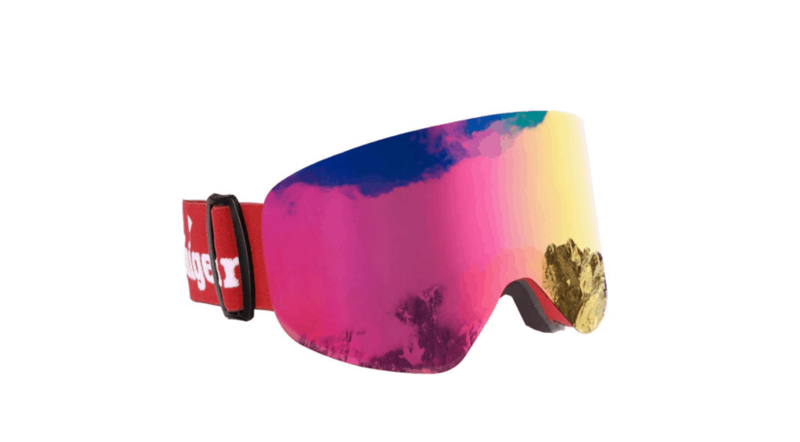 These ski goggles feature interchangeable magnetic lenses for a variety of color options, suited to different light conditions when skiing and snowboarding. High-performance anti-fog and anti-glare coating protects against fogging and blocks strong sunlight in bright conditions. A 2-way ventilation system brings in fresh air and prevents moisture from hanging around. Don’t worry about struggling with contacts, as these goggles are designed for an over-the-glasses fit. They are also adjustable, with long straps that fit different helmet and head shapes and sizes. While the construction materials may not be of the same quality as some of the more expensive goggles on our list, for the price, you can’t beat the Unigear OTG. For yet another pair of ski goggles that are extremely affordable, look no further than the Scott Recoil Ski Goggles. At just under $30, they still manage to be great goggles for shredding the slopes. And, paired with a great price, they have some pretty great features too. The lenses of these goggles are 100% UV protected and will protect your eyes from any bright light coming directly from the sun or reflecting off of the snow. Made with super soft, conformable foam, they fit comfortably on your face and have an adjustable rubber strap for a snug fit. As you might expect, the build quality isn’t quite the same as products at a higher price point. They’re also not as well-suited to bright light conditions as other pairs on our list. But for beginners or as a backup pair, they’re a great buy. 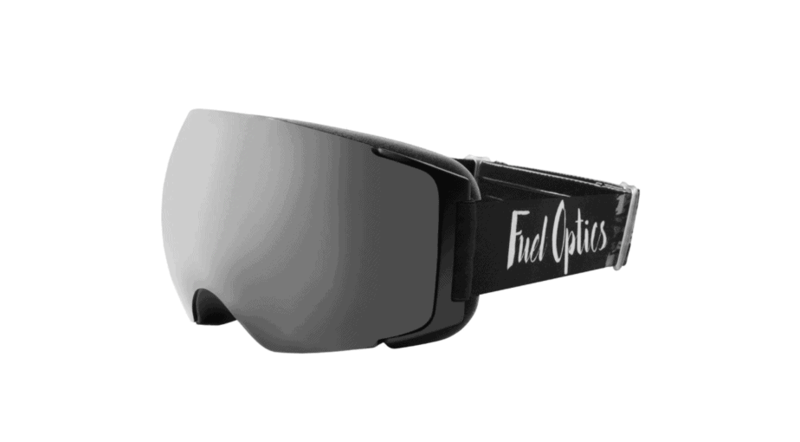 The Fuel Optics High Performance Anti-Fog Ski Goggles offer top-notch quality along with cutting-edge design. These dual-lens goggles feature anti-fog, anti-wind, and 100% UV protection to shield your eyes from damage in any weather conditions. No matter what your choice of winter sport is, these goggles are a game changer. The frameless design of these goggles allows for optimal field of view. They offer great panoramic vision and clean sight all the way down the mountain. We especially love the magnetic interchangeable lens system, which most customers report is as easy and painless as any lens-change system on the market. This series of goggles comes with an adjustable extra-long head strap, which is compatible with your helmet and will perfectly fit any head size or shape comfortably. We do have to note, though, that the lenses are prone to scratching more easily than others. For skiers, snowboarders, and any other winter sport lover, the Tough Outdoors Dual-Layer Lens Goggles are an excellent option. These goggles feature a dual-layer lens which has an anti-fog inner coating and UV400 protection, giving you fog-free adventures all the way down the slopes no matter the weather conditions. The anti-scratch lens provides amazing peripheral vision for a distortion-free view, and the vents on the sides add extra anti-fogging power. You’ll be protected from ice, snow, wind, and sun. Not only are these goggles super protective, but they’re also extremely comfortable. An adjustable strap and soft foam provide a snug fit that can be adjusted to several different sizes. Although less durable than others on our list, these goggles are a great deal for the price. With the Aerospace Photochromic Snow Goggles, Julbo has created a pair of goggles that works wonders. These goggles are thoughtfully designed to prevent fog and glare, and they also provide a comfortable and adjustable fit. Plus the spherical screen and minimal frame gives you a great field of view. Made from dual soft foam for optimum comfort and shock absorption, symmetrical adjustment from straps on the side, and a minimalist frame, these goggles aren’t bulky but will give you all the comfort and protection you need. Like the Fuel Optics goggles, these may be especially susceptible to scratching. If you can handle that, though, these are still a solid choice. What different features do ski goggles have? For the uninitiated, there’s a lot more to ski goggles than you may think. There are tons of different features and specifications to choose from when you’re on the search for the best ski goggles. One key feature offered by many pairs of goggles is the ability to give you a full field of vision. You can most often find this with goggles that are rimless and have a curved lens. This allows for better peripheral vision, with no bulky lenses getting in your way. Another important feature is anti-fog technology. Most higher-end ski goggles are designed for proper ventilation, ensuring that no moisture — whether from snow, ice, rain, or sweat — will get trapped on the inside lens and cloud your vision. They also protect your eyes from wind so they won’t water at all. Many ski goggles also offer an interchangeable lens system, so that you can be properly prepared for any condition. Different lenses are suited to different types of weather and light. For example, you wouldn’t necessarily want to use the same lens on a bright sunny day that you would use on an overcast, low-visibility day. Some goggles come with multiple lenses included, while others will require you to purchase individual lenses separately. Most worthwhile ski goggles are easily adjustable and can conform to comfortably fit almost every head size and shape. Because of this, you shouldn’t have to worry about falling in love with a pair and then finding out that it doesn’t fit you. The most common way to adjust your goggles for a good fit is by using the adjustable back strap. Every pair of goggles has to have a strap to hold them onto your head, and most, if not all, of these straps are fully adjustable. 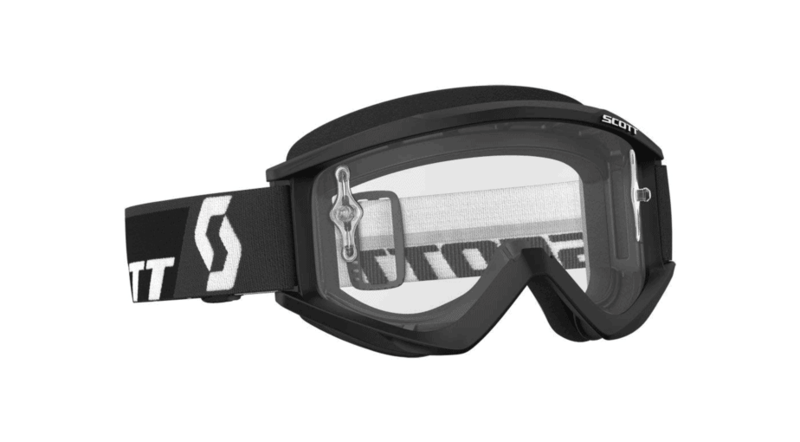 Some goggles also come with side loops that offer even more adjustability. With the side loops, you can ensure that the goggles fit the sides of your face just like the back strap allows you to find a good fit for your head. This double customization will really keep your goggles snug on your trip down the mountain. Many of the best ski goggles even include double or triple layers of foam that will conform to your face to provide not only the perfect fit, but also the ultimate comfort all day long. Are ski goggles really worth the investment? Let us address this issue right here and right now: If you’re a big skier, or even someone who just skis here and there, ski goggles are one of the most important purchases you can make. Not only do they protect your eyes, but they optimize your performance and can make a huge difference in how well you ski. The reason it’s so important to research the available options is that, as we mentioned above, not all ski goggles are the same. Some offer full field of view, some offer interchangeable lenses, and some can even fit over your glasses. And because the price tags on these products can easily run upwards of $200, you don’t want to pick a dud. We did all the hard work for you so that you can simply look over this list of the 15 best ski goggles and pick the one that suits you best. What are the best ski goggles? There are tons of amazing ski goggles on the market, but if we had to pick our favorite, we’d definitely have to go with the Smith Optics I/O Mag ChromaPop Goggles. With the number of different features and customization options they offer, these goggles are truly unmatched. These ski goggles come in 3 different frame sizes to choose from to ensure perfect fit. They also include 2 lenses for different light conditions, each one featuring an extremely comfortable fit, great ventilation, and superb quality. Although these were our favorite goggles, we know that there might be another option that suits you and your needs even better. Take a look at our full list of the best ski goggles and find the pair that’s right for you. To make the most of your day on the slopes, you need a lot more than a good pair of ski goggles. Here are some other amazing products that will take you from amateur skier to pro skier in no time. Armada ARW 86 Skis: These gorgeous women’s skis from Armada are a favorite among intermediate to advanced skiers. The North Face Mossbud Swirl Gloves: When the temperatures drop, the North Face Mossbud Swirl Gloves will keep your hands warm and toasty. Plus, moisture-wicking fabric will keep them dry even if you wipe out once or twice on your way down. Vans Milford Black Fold Beanie: This Vans beanie will keep you warm no matter how nippy the temperatures get outside. Outdoor Gear Women’s Peak Bib: The Peak Bib does the trick in keeping you insulated and warm. It’s adjustable, providing the perfect fit, and it will give you an awesome range of motion.